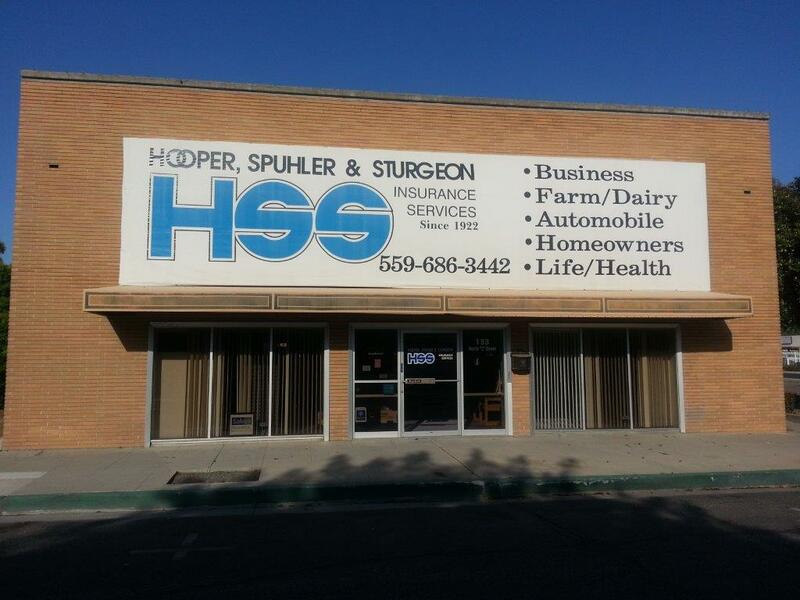 Times have changed since Hooper, Spuhler, and Sturgeon Insurance Services was founded in 1922. However, one thing that has remained consistent is the quality insurance products and services administered to neighbors in Tulare, Visalia, Bakersfield, and surrounding California communities. At Hooper, Spuhler, and Sturgeon Insurance Services, we believe insurance should be tailored to the specific risks present to you, your family, your farm, or your business. As a result, we work directly with clients to develop personalized insurance portfolios, designed to properly address their individual needs. Our agency owns a rich history of partnering with neighboring residents, farms, and businesses throughout the Central California region. In fact, these relationships have spanned generations. As an agency, we value these longstanding agent, client partnerships, and believe this retention is a direct reflection of our ability to properly service clientele. A reliable insurance product backs every policy we produce. Our agents work alongside the insurance industry’s most recognized carriers, such as Nationwide, Zenith, and Safeco. For clients, this translates into a direct relationship with your local agent, accompanied by effective insurance protection. Along with personal lines protection, such as homeowners and auto insurance coverage, we facilitate a comprehensive business insurance program. Our agents own experience working alongside business owners representing a variety of specific industries, including contractors. As an agency, we also specialize in developing coverage for farms and ranches. To gain insight into the insurance options accessible, please contact our agency. After nearly a century of service, Hooper, Spuhler, and Sturgeon Insurance Services continues to grow and prosper. Along with insurance services, we are also proud to support our Central California community in other aspects as well. From local schools to Lions Club International and IBA West, our impact extends beyond the confines of insurance coverage. Interested in Career Opportunities with Us?! Does Your Insurance Agent Work For You?